Majella O'Donnell has officially opened Cork ARC's cancer support service in Youghal. Crowds of supporters and well-wishers gathered in Youghal on August 15th to celebrate the visit of Majella O'Donnell to Cork ARC at 29 Friar Street as she officially opened the service for the people of East Cork and West Waterford. 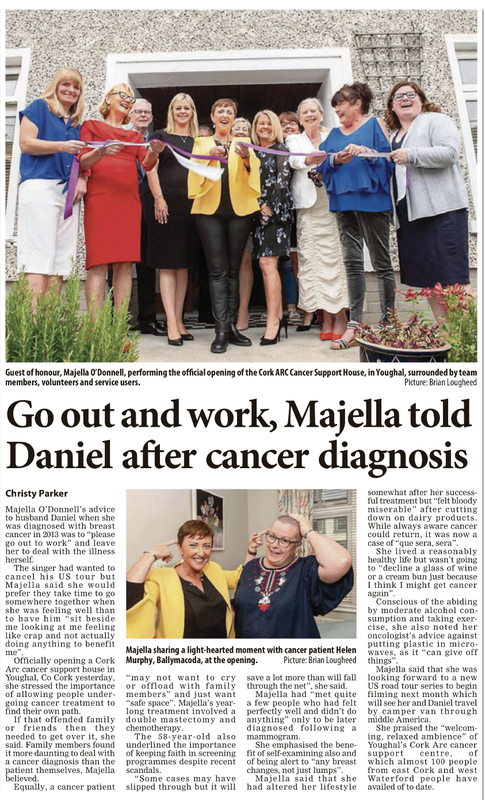 A celebratory event was held at the nearby Walter Raleigh Hotel, where Majella urged the local communities to continue to lend their support to Cork ARC as we welcome new visitors to our cancer support service in Youghal. 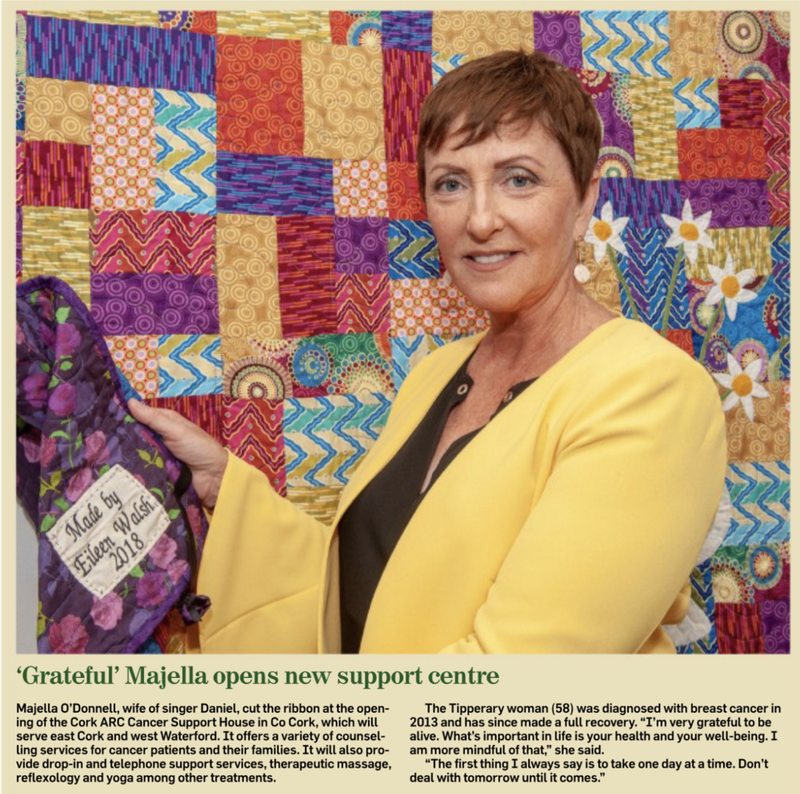 Majella's own journey with cancer has given her a unique insight into the areas of treatment, recovery and support services. 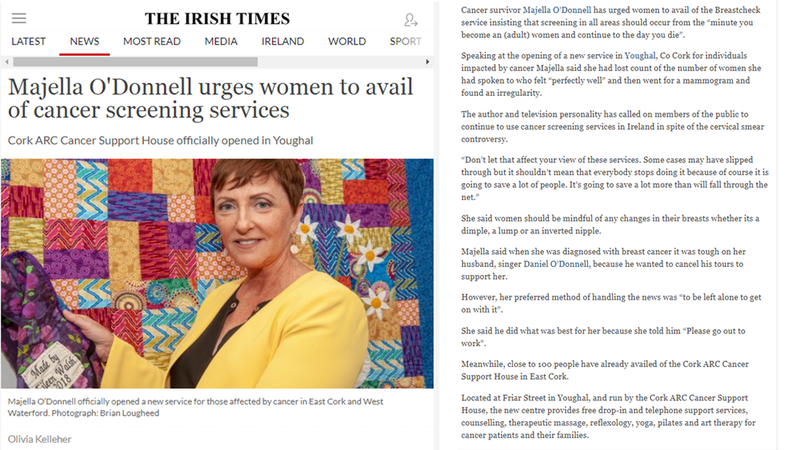 In an interview with Business Cork, Majella said of our service that its "...discretion, professionalism and experience make an enormous difference to men, women, children and families who are dealing with cancer." 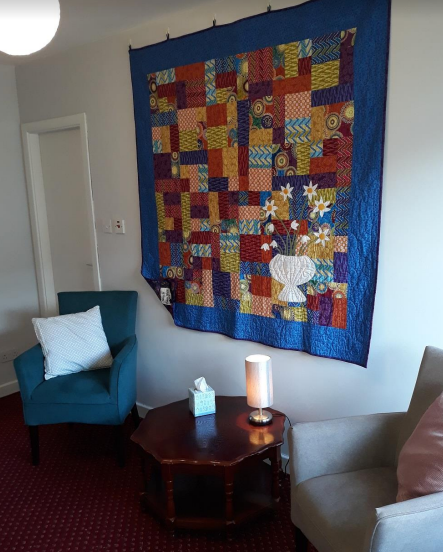 With a nurse led team of volunteers and professionals, Cork ARC Cancer Support House in Youghal is open every Wednesday from 10.00 am to 4.00 pm. All of our services are available free of charge, and we encourage all those affected by cancer to reach out to our service for support. Our range of supports and therapies are designed to complement the medical model and aim to alleviate the stress associated with a cancer diagnosis. If you are a cancer patient or someone close to you has cancer, we are here to offer you specialist professional support, free of charge. Cork ARC in Youghal is a safe haven, where cancer patients, their families and carers are welcome to call in without an appointment, and speak to a trained volunteer listener. Cork ARC continues to raise funds to provide our vital services, which are designed to complement the medical model and aim to alleviate the stress associated with a cancer diagnosis. More than 86 people have already availed of our service in Youghal, which has received specific supports from the Ireland Funds, Trustees of Cuan House, Emer Casey Foundation, Alcon Laboratories and a wide range of donors, suppliers, visitors and community partners.